The KONG Tug is made of two strong materials and is perfect for tug games with your dog. The KONG Tug can also be used by two dogs at the same time. 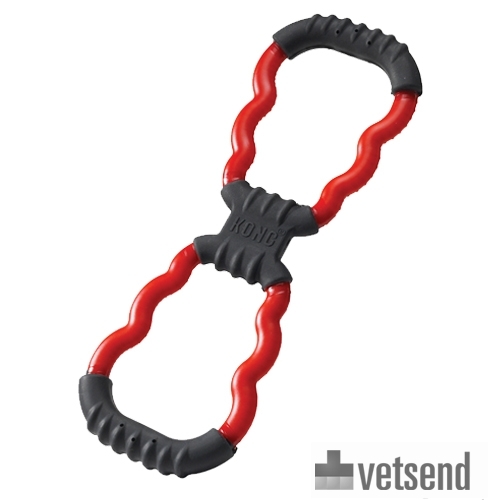 The KONG Tug has rubber grips, the middle is a very flexible rubber which provides strength and flexibility and allows it to be twisted in any direction. The nylon rings are sturdy and designed for high tension moments. Please note: Although KONG Tug Toy is strong and robust, it is not indestructible. Have you used KONG Tug Toy before? Let us know what you think about this product.